There were moments when the 2016 Legislature appeared to really care about the people, but, in the end … not so much. In some baseball leagues, there is a rule—the mercy rule—that's used when one team is beating another so badly, the umpire lifts his mask and declares the game over. In Utah, there's a constitutionally mandated mercy rule built into the Legislature, requiring, forcing, limiting, restricting and demanding that this body of 104 souls meets no longer than 45 days. Lobbyists with money on the line and bills languishing in the final days might view this timeline as tyrannical, but warm-blooded citizens of Utah will remember 2016 as a year when this time limit was merciful. For, what if the Legislature met for 90, 120 or an unlimited number of days, as do lawmakers in other states? What if? All anyone knows is that in 45 short days, the Utah Legislature lived up to its reputation as a body thoroughly dominated by special interests as it invested hundreds of millions of dollars in a coal-shipping port in California and dubious water-pipeline projects, while simultaneously insisting it lacks sufficient funds to expand Medicaid and properly fund public education. Yet, for every skull-thumping oddity that took place, an opportunity seemed to exist for redemption. For instance, the Legislature came within a yard of ending the death penalty, but in the last minute, decided it wanted to keep killing people. A pair of dueling medical-marijuana bills—one from Sen. Mark Madsen, R-Saratoga Springs, that extolled the medicinal benefits of the entire pot plant—fizzled and died after they essentially killed each other. Then, as if acting with animus toward women, the Legislature lodged itself between women seeking abortions and the doctors who help them by requiring that fetuses receive anesthesia before being aborted. A bill that would have given teeth to Utah's flimsy hate-crime laws failed, quite possibly at the behest of The Church of Jesus Christ of Latter-day Saints, which cheerleaded its demise in order, as it claimed, to preserve the "balance" achieved when the Legislature passed an anti-discrimination law in 2015. Those fighting a yearslong battle to see Utah provide health insurance to roughly 100,000 uninsured residents who don't qualify for Medicaid and can't afford private health insurance plans were placated with a bill that covers a small fraction of residents while the state failed to accept the bulk of the hundreds of millions of dollars that the federal government would return to Utah if Medicaid were expanded. People are one thing, though, and the natural world is another. For the latter, which is voiceless and defenseless against humans with bulldozers and earth-movers, the world will continue to grow smaller. For a body that demurred on Medicaid expansion under the guise of being broke, vast sums of cash were mined from previously untapped sources and made available this session. The will of a single lawmaker, Sen. Stuart Adams, R-Layton, helped funnel $53 million in taxpayer money to build a deep-water shipping port in Oakland, Calif., ensuring that rural Utah communities will long continue to rely on the boom-and-bust whims of global mining conglomerates, and that Utah's coal will make it into exciting new markets where it will aid in the befouling of the atmosphere and hasten global climate change. Using an apparently unlimited amount of political capital, Adams, a developer, also managed to divert tens of millions of dollars away from transportation earmarks to the Water Infrastructure Restricted Account, which was set up in 2015 by Adams to fund the Lake Powell and Bear River pipelines. By 2023, this account will warehouse $165 million in taxpayer money. If all of this stuff makes you want to move to another state, or even another country, you're not alone. After watching his medical-cannabis bill get torpedoed in the House, Madsen said he, his wife and five children will, in short order, be moving far away from Utah. It would be disingenuous to attribute Madsen's decision to any of the issues listed above, with the exception of his medical-marijuana bill. Madsen, a firm libertarian, says he's tired of being over ruled by his colleagues who seem intent on restricting freedom, rather than protecting it. "I'm concerned that the people I'm serving with, or at least many of them, are much more inclined to rule me than represent me," Madsen says. With that, raise a glass to the conclusion of the 2016 Legislature, and be glad for mercy. In Utah, where children and adults alike are shielded from the terrifying sight of a bartender shaking the hell out of a cocktail mixer, it's not surprising that a second effort by Sen. Mark Madsen, R-Saratoga Springs, to make Utah the 24th state to permit sales of medical marijuana crashed and burned in the hands of the Legislature. Madsen's Senate Bill 73, which would have provided cannabis to roughly 2 percent of Utahns who need it, and initially aimed to make the entire pot plant available as medicine, cleared its first hurdle on Feb. 4 in the Senate Judiciary, Law Enforcement and Criminal Justice Committee, on a 4-1 vote. Eighteen days later, Madsen's bill cleared the Senate on a 15-13 vote. But so, too, did a rival bill, Senate Bill 89, which would have made cannabidiol more widely available to patients, keeping actual marijuana out of the hands of those who say its psychoactive powers has soothed their cancer, halted their seizures and provided a more healthy and less addictive way to treat pain than their opiate-filled medicine cabinets. The specter of SB89, Madsen says, haunted his bill for much of the past year. And it stalked SB73 until March 7, when both bills wound up being considered by the House Health and Human Services Committee, which swiftly killed Madsen's bill on a 4-8 vote. Madsen had tough words for some of the committee members, whom he says told him that a quick read of his bill wasn't even worth their time, since they knew they were going to stab it in the heart. And, by the time the session ended, Madsen's claim that SB89 had been crafted for the sole purpose of slaughtering his bill was realized, as it failed to receive a vote from the full House, leaving marijuana and its oils carrying a big, fat zero. "The other bill was drafted from the get-go with the purpose of torpedoing my bill—muddying the water, creating confusion—and it was ultimately effective for its purpose," Madsen says. Madsen, who is retiring from the Legislature after a 12-year run, provided a candid view of how political gamesmanship and ignorance can blow up the work of Utah's elected leaders. It's important to note that, while many may write off the possibility of Utah permitting legal sales of marijuana as ludicrous, Madsen believed that, if his bill made it to the House floor, it had a good shot at passing. That fact, he says, made it all the more important to receive a fair committee hearing. Knowing that many of the Health and Human Services Committee "positively swoon when they see a badge," as Madsen puts it, and that law enforcement was united in its opposition to the bill, he knew a fair hearing was unlikely. Nevertheless, he was assured by House Speaker Greg Hughes, R-Draper, that a fair hearing he would get. Yet, according to Madsen, the hearing was anything but. "I just frankly don't really consider it a fair hearing when I have committee members telling me, 'Why should I bother to read your bill or talk to you when I know I'm going to vote against it anyway based on the things that I've heard about your bill?'" Madsen says. Madsen and medical-marijuana advocates say a ballot initiative could be the next step but, due to time constraints, would not likely make it onto the ballot until 2017. 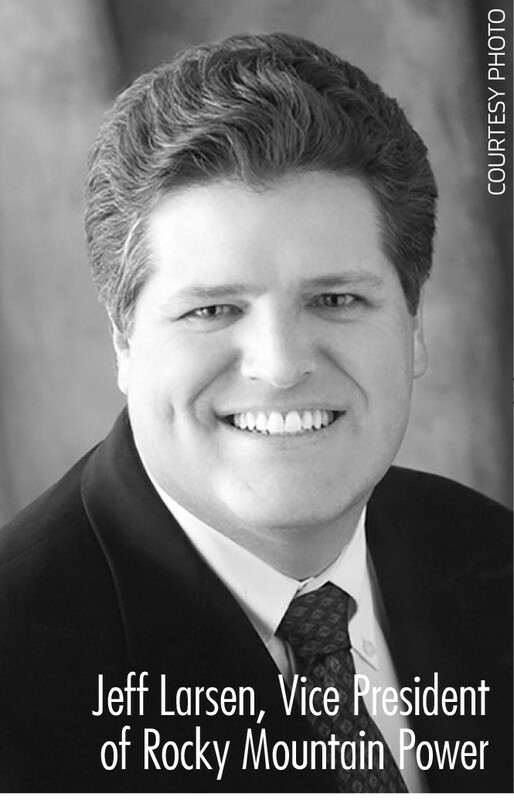 As for Madsen, who calls himself a "Jeffersonian Republican" and says his guiding principle of freedom and individual liberty has fueled his time in elected office, he intends to move to South America. His battle over marijuana with his fellow Republicans may have been the tipping point, but he says a string of anti-freedom laws emanating from the Legislature over the years cemented his belief that Utah could never be his permanent home. The grandson of the late Mormon president, Ezra Taft Benson, Madsen says he and his family have "always been on our way somewhere else," noting he was born in Washington, D.C., and raised in Denver. "The policy that comes from the Utah Legislature—and I can say this with authority now after being here 12 years—is not friendly or conducive or inviting to somebody who wants to live their life the way I want to live it." As for the eight people who voted against his bill, Madsen—who was puzzled that the committee didn't ask a single question about his bill—was unsparing in what he hopes Utah voters do at the ballot box. More than a few lawmakers were celebrating as the 2016 legislative session drew to a close, patting themselves on the back for finally passing "Medicaid expansion." The problem, however, as critics have fiercely pointed out, is that what the Legislature passed actually has nothing to do with the Medicaid expansion program of the Affordable Care Act. Lawmakers have already dithered away the years of free expansion Utah could have received had it joined the more than 30 other states who accepted full expansion. But now, instead of passing the type of expansion intended under the Affordable Care Act (which comes with a 90-10 payment match from the feds), lawmakers ended up passing what would more accurately be described as an "extension": one year of Medicaid coverage for Utah's chronically homeless and a few others. Because it only extends to 16,000 of the most needy, the new law authored by House Majority Leader Jim Dunnigan, R-Taylorsville, will only be covered by the feds at the current 70-30 rate. To qualify for Dunnigan's new plan, one needs to be "chronically" homeless, recently released from prison or mentally ill. That doesn't mean all of Utah's homeless will now qualify, however, because the bill specifically says only those who have been homeless for more than a year will actually qualify. There are also income restrictions. Dunnigan's bill set the income cap at $0 for Utah's side, so a childless adult can only make up to 5 percent of the federal poverty level (about $49 per month) before earning too much to qualify. The income restriction applies no matter which of the three groups you fall into: chronically homeless, recently released from prison or mentally ill. Adults with children can only make up to 55 percent of the federal poverty level. One of the most interesting things to come out of the debate around Dunnigan's bill was the complete fracturing of the coalition that had stood so firm behind full Medicaid expansion for the past few years. 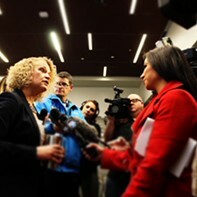 While legislative Democrats and the Utah Democratic Party stood firmly in opposition to Dunnigan's bill as not going far enough, Salt Lake County Mayor Ben McAdams and Salt Lake City Mayor Jackie Biskupski—Democrats who work directly with their homeless populations—were strongly in favor of the law, even holding a press conference with Dunnigan to lend their support. Homeless advocate Pamela Atkinson lent her name to the bill, but liberal advocacy group Alliance for a Better Utah strongly opposed it. What do you do when the governor of your state says in his budget that billions of dollars shouldn't be spent on water projects until Utah—the nation's most wasteful water user—begins to meaningfully conserve? Or, say the Office of the Legislative Auditor issues a report, requested by Senate President Wayne Niederhauser, R-Sandy, and the late House Speaker Becky Lockhart, which found water managers used faulty data to project the state's needs, and that, on paper, existing water sources can become adequate to quench Utah's growing need without funneling the state's remaining rivers into lawn sprinklers? Answer: The state's water districts used profits garnered from property taxes and water bills to hire lobbyists, including at least one former speaker of the House, to go to bat on Capitol Hill. The outcome: Senate Bill 80, sponsored by Sen. Stuart Adams, R-Layton, who managed to gut several earmarks that fund transportation projects and divert the lion's share of the money—$165 million by 2023—into the Water Infrastructure Restricted Account. In the early days of 2016, Adams' bill seemed as though it might face some level of friction as it fumbled through the process. But then the powers of trust took over. It is often said that with hundreds upon hundreds of bills being considered by lawmakers during the 45-day session, there simply isn't enough time for lawmakers to read and understand every bill. And so, as Adams went from meeting to meeting insisting that Utah's economy will grind to a halt unless some flashy money is spent on new water projects, the man's word went some distance. For example, on Feb. 11, the bill was debated on the Senate floor. During the hearing, Sen. Allen Christensen, R-North Ogden, asked Adams if "this is the Lake Powell Pipeline funding proposition or the Bear River Diversion proposition?" Adams responded, saying that the money goes into a restricted account, and that "none of the money can be used for the Lake Powell Pipeline or the Bear River project." Adams continued, noting that although the account specifically states that its monies can be spent on these two projects, it also notes that the money can be used to pay for maintenance projects. Adams' 2015 bill was quite clear about what money in the restricted account would be spent on: "The development of the state's undeveloped share of the Bear and Colorado Rivers." The bill cleared the Senate on a 19-10 vote, and passed the House 48-26 after Adams agreed to shuffle some of the money that was being siphoned out of the transportation fund back into the general fund, where it could be used for education. For environmental groups like the Utah Rivers Council, the bill represents the worst in pay-to-play politics, where lawmakers listen to doomsday scenarios about a water shortage while refusing to heed the advice from their own auditors, the governor and organizations on the ground level. Despite Utah's fast-growing market of consumers seeking sustainable power sources like solar or wind, lawmakers chose to use this legislative session to double down on coal—sending $53 million tax dollars to build a coal-export port in Oakland, Calif., to ship Utah coal to Asia. While the consumer base for sustainable energy in Utah is growing rapidly, particularly on the Wasatch Front, it is still a fact of life that in rural Utah counties like Duchesne, Emery and Carbon, coal is one of the primary drivers of the local economy, and if the industry were to disappear overnight, there would be thousands of Utah families instantly flung into poverty. But, at the same time, coal isn't going to last forever. The burning of fossil fuels like coal, oil and gas have reached critical pollution levels on a global scale, and countries are finally starting to take steps to curb our dependence on dirty energy. That's why California state Sen. Lori Hancock, D-Oakland, unsuccessfully urged Utah lawmakers to use the $53 million to invest in sustainable energy jobs in those rural economies—so, instead of just continuing to slowly lose coal jobs, they can be replaced by jobs that will last for decades. "Coal is dying. Coal is going to be gone," Hancock told City Weekly as the bill from Sen. Stuart Adams, R-Layton, was progressing through the Legislature. "Instead of propping up this dying, toxic industry with taxpayer money," she says, "now is the time to use those funds to start developing the alternatives." For Hancock, this is a personal issue because the people of Oakland are strongly opposed to having tons of coal shipped through the middle of their city. Hancock has introduced legislation in the California Legislature to block Utah's efforts, and even Oakland's mayor and city council have spoken out against the project. The East Bay Express reported on March 10 that the coal company, Bowie Resource Partners, which operates coal mines in Utah and Colorado, has donated $29,000 to the campaigns of both key Utah lawmakers working on the bill, as well as to Gov. Gary Herbert. Bowie has previously said that it wants to export the Utah coal to Asian markets through West Coast ports. China, where supporters of the law say most of Utah's coal would be shipped, is the largest consumer of coal on the planet, burning up three times as much as the United States. However, the country's demand for coal power is tumbling quickly as the country seeks alternatives. According to an analysis in January by the Institute for Energy Economics and Financial Analysis, China's coal consumption dropped 5 percent in 2015. And even more significantly to the Utah project, their coal imports fell by a full 35 percent. The company's influence over lawmakers is truly something to behold. On the last day of the session, Rocky Mountain Power Vice President Jeff Larsen was given 30 minutes to privately brief House Republicans during their caucus lunch as to why they should support Senate Bill 115. The law pulls $1 million away from solar-power investment and puts it into "clean coal" research, instead. It also eliminates an incentive program for residential consumers to use solar power and could even end up increasing rates for consumers because the utility company will now be able to pass along 100 percent of the costs of buying power to ratepayers (as opposed to the current 70 percent threshold).